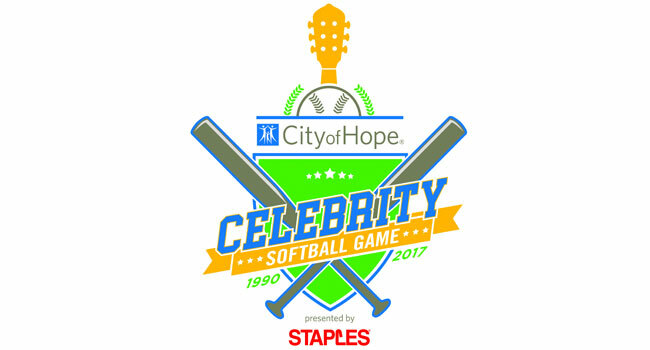 City of Hope Celebrity Softball Game presented by Staples reached its highest ever attendance at the 27th Annual event today (Sat, June 10th) at First Tennessee Park. Vince Neil of Mötley Crüe surprised fans by throwing the first pitch. In a friendly competition for a great cause, Team iHeart won the game 9-6. Reba McEntire kicked off the event by singing the National Anthem, followed by a performance of “Take Me Out to the Ballgame” by Sara Evans. Team Captain for iHeart Media, Bobby Bones and Team Captain for Sirius XM/Grand Ole Opry, Bill Cody led with the traditional coin toss. Artists in attendance were Billy Ray Cyrus, Craig Morgan, Kellie Pickler, Jessie James Decker and her husband and NFL player, Eric Decker, Lauren Alaina, Todd Chrisley, Savannah Chrisley and Grayson Chrisley of USA’s Chrisley Knows Best, Lunchbox, Eddie, and Ray of the Bobby Bones Show, Drew Scott and Jonathan Scott of HGTV’s The Property Brothers, The Swon Brothers, Danielle Bradbery, Aaron Watson, Jackie Lee, Trent Harmon, Maggie Rose, Miss Tennessee, Allee-Sutton Hethcoat, and Kaitlyn Bristowe andShawn Booth of ABC’s The Bachelorette. Legendary artists Lee Greenwood, Jeannie Seely and Tim Rushlow joined by iHeart Media radio personality, Gator Harrison called the play by play. A new tradition and fan favorite! City of Hope patient and leukemia survivor, Nicole Schulz met, for the first time, her life-saving donor, Rian Lawrence at the mound.